Sunshine Woman is a popular perfume by Amouage for women and was released in 2014. The scent is sweet-fruity. The longevity is above-average. It is still in production. There's a colorful mix here. From fruity currants, sweet almonds, vanilla, a floral touch, to the base. I like this base on the one hand, which at first smells like a book, one with rough pages, none with smooth and no longer new, but which has been on someone's shelf at home for a long time. On the other hand, the base becomes a bit strenuous. It begins to form a sweet frankincense aroma, which is also found in the Interlude. It's such a strange sweet cloud, like the fog in the disco, which for me always smelled good and bäh in one. It's the same with this fragrance. I like the head and the heart note best, the base starts to annoy me or gets a little sick of it. Like when I was dancing. To the sunshine fits the smell, one could imagine that a sunbeam smells so. Warming a book on the sunbed. The Sillage is rather pleasantly discreet. The beautiful comments on this fragrance. The name that promises so much happiness. The bottle that will put you in a good mood even when you look at it. He had been on my watch list for so long, today he stood unexpectedly in front of me in a perfumery. The sun laughed in my heart, spring fever germinated when I tested it. And then my skin, which might really have its own life, (once again) put a spoke in my wheel. But then: MUFFELALARM!!! For two hours. No more, no less. No drumming's gonna help. And also not that the base then fades away again quite pleasantly smoky-vanilla. In this respect, I wasn't angry that "Sunshine" didn't develop any Sillage worth mentioning for me, either, but rather bobbed up and down. I really love this one. It's a wonderful fragrance which shows a very different and transparent side from Amouage. Usually the house is famous for it's heavy laden, seductive and decadent oriental spices, with emphasis on frankincense and resinous woods. This one is different. Sunshine Woman is a beautifully soft, elegant floral which has osmanthus flower, jasmine, magnolia and tobacco blossom. But not only that, it also has almond, blackberry and vanilla. The white flowers and vanilla work beautifully together, along with the almond. I love it! I think it is basically unisex, and inoffensive... but it would smell absolutely fantastic on a woman. In fact, I can see this one being a wonderful wedding day perfume, as it is so happy and transparent. Amouage have once again created something very beautiful and delicate here, a great perfume in my opinion, and very well balanced. It's one to try for women in the spring and summer. Really lovely! Is this the New Journey? A new perfume from Amouage, the first one in a new collection called Midnight Flower and a new approach . Please do not expect a typical Amouage scent. 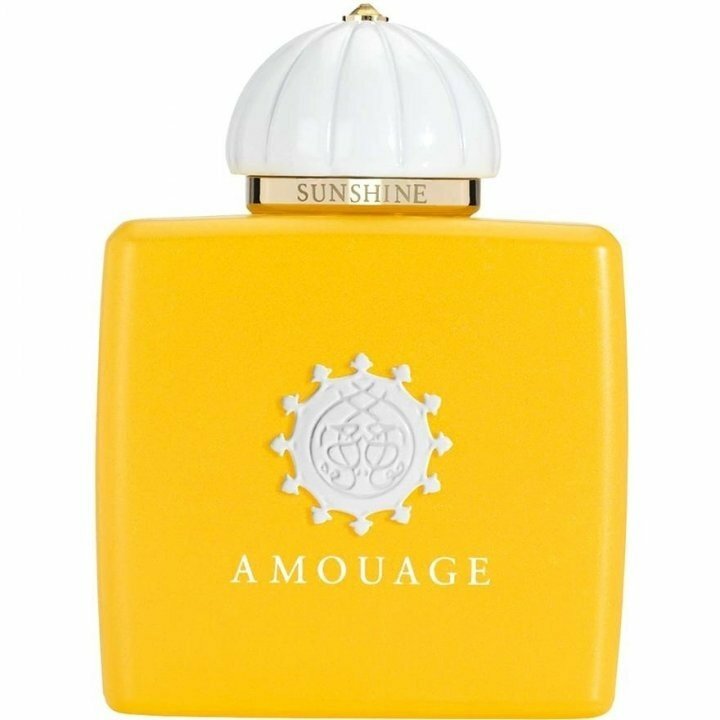 Sunshine does not show at all that stuff that’s usually in Amouage signature: frankincense, cypriol, leather, agarwood and oakmoss but it enters into a new territory. It ‘s a“to be continued “ version of Journey, a nice sweet floral fruity fragrance containing a bouquet of white flowers, osmanthus, including some almonds with black currants and vanilla. On skin shortly after the first half an hour Sunshine becomes linear and that ‘s all you can get, nothing spectacular just a nice behaving perfume. Good longevity, moderate silage but I was expecting more from Amouage…..